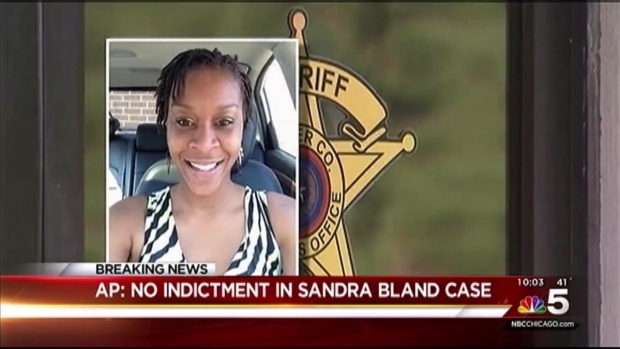 Sandra Bland's family called a grand jury's recent decision not to indict sheriff’s officials or jailers in the 28-year-old's jail cell death "disappointing," but said it wasn't unexpected. “It’s like starting from square one in dealing with the opposing counsel," said Bland's sister Sharon Cooper. “I think more than anything it’s disheartening." Cooper, wearing a photo of her younger sister on her lapel for the holidays, said the family will not give up on their fight for transparency. Prosecutors said Monday a grand jury decided that neither sheriff's officials nor jailers committed a crime in the treatment of Bland, who died in a Texas county jail last summer. The Waller County grand jury will return in January to consider whether to indict the trooper who arrested Bland in July, according to Prosecutor Darrell Jordan. “We have left no rock unturned and the grand jury and anything they’ve asked for, we’ve done our best to get it to them,” Jordan said. But the Bland family’s attorney, Cannon Lambert, said he doubts Jordan’s team. “He claims that he was working hard for this family. If you’re working hard for the family wouldn’t you contact the family?” Lambert said. Supporters of Bland and community activists in Texas held a press conference Tuesday calling for the federal government to "intercede in the case." "As a community at large, we are indeed disgusted by the grand jury's decision," said activist Deric Muhaamad. The Chicago-area woman was pulled over July 10 for making an improper lane change. Dashcam video showed the traffic stop quickly became confrontational, with trooper Brian Encinia at one point holding a stun gun and yelling at Bland, "I will light you up" after she refused to get out of her car. 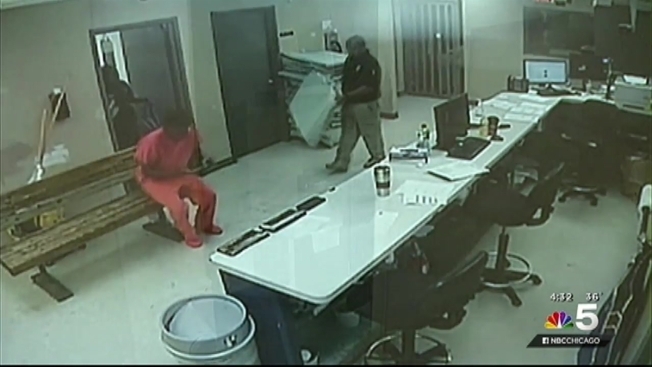 A grand jury decided on Monday that no felony crime was committed by the sheriff's office or jailers in the treatment of a black woman who died in a Southeast Texas county jail last summer. The family has filed a federal wrongful death lawsuit against the trooper involved, the jail staff and the Waller County Sheriff. The lawsuit is still pending. "There are so many people who could have been Sandra,” Cooper said. “And they see themselves reflected in her story. And that's where I think the cry for accountability and consistency and transparency comes from."